A deep life is a good life. This simple concept, the foundation of Cal Newport’s great book, Deep Work, can have a profound impact on how you work and live. I deploy a variety of strategies that help me to better structure my time and work environment in a manner conducive to long periods of focus. In addition, I’ve benefitted greatly in this effort from a few smart technologies (ironic, given that so many of the distractions in our life are technology-driven). Below, a list of the resources I use to help me go — and stay — “deep.” Some of these tools I pay for, some are free. All have had a material impact on my ability to get focused, stay focused and do hard work. I hope that they are similarly useful to you. Facebook had been a time-killing “crutch” of mine for a long time. I didn’t want to “quit” Facebook. I truly appreciate the way the site allows me to stay connected to people whom I don’t see all that often. That said, I needed to get the mindless surfing under control. 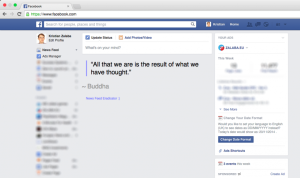 The solution: Facebook Newsfeed Eradicator. Getting shut down while looking for a quick FB fix may take some getting used to, but you’ll get over it. The next problem to solve: what to do now with all that extra free time in your day? How much? : FREE! (But I would pay for it I had to – it’s that good). If the answer to the question: “what will I do if I can’t browse Facebook?” is “switch to Twitter, Instagram, Pinterest or LinkedIn instead, then consider adding the Freedom app to your tech tool kit. 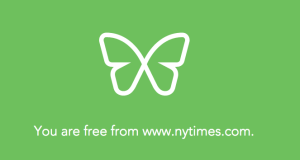 In a nutshell, Freedom is an app that shuts down your access (cold turkey!) to any website of your choosing, for a time period of your choosing. There are both free and paid versions of Freedom. I pay for the Premium version because it allows me to schedule “Freedom” sessions on a recurring basis. (With the free version you have to manually start it). So, from 9a to 4p, every day, I am “Free” from sites like Twitter, Washington Post, NY Times and ESPN. I can always de-activate it if I have to but, really, why would I? How much? Three pricing tiers – Free, Premium ($24/year), Plus ($45/year). I love listening to music while I work. Always have. Music helps me to drown out the ambient noise in my environment and focus deeply on whatever is in front of me. For a long time “Classical For Studying” on Pandora was my go-to, but I’ve recently switched to the Brain.fm app and there’s no going back. The difference: Brain replaces your Mumford & Sons, Mozart or Miley with sounds (no lyrics) carefully crafted by neurologists to help you improve focus, relax or sleep. 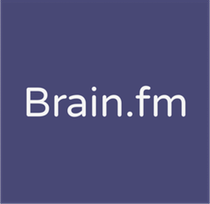 I find that once I begin a Brain.fm session (you can set them to last 30, 60 or 120 minutes), I rarely come up for air until the session has run its course. It works. * I got in early and got a special deal on the Forever Unlimited plan. My recommendation: start with a monthly plan and then upgrade if/when you realize how well it works. I finally took the plunge. My opinion at the time: I don’t need to escape from reality, I need help more effectively finding the signal in the noise. 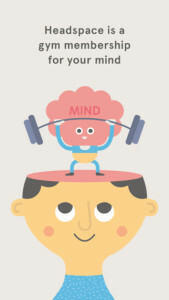 And then I found the Headspace app. All I can say is that this is my kind of meditation and, through the practice, I have become increasingly effective at getting, and remaining, focused – even when random thoughts, fears and questions attempt to invade my deep thinking. I got started with their introductory “10 for 10” program (10 minutes of meditation a day for 10 days), and feel like I finally “get” why so many people whom I admire and respect credit their meditation practice. Email is the best way to get in touch with Ben. You can reach him at ben@sandsleadership.com. If you need to schedule time to speak with Ben via phone, you can access his calendar and schedule a call here.